Macdonald was born in Scotland in 1815 and immigrated, at the age of five, with his family to Upper Canada. He had a difficult family life. His first marriage was to his cousin Isabella Clark, and they had two children. Only one, Hugh John MACDONALD, survived past infancy. Isabella was an invalid during much of the marriage and died in 1857. Ten years later Macdonald married Susan Agnes BERNARD, the sister of Macdonald’s friend and private secretary, Hewitt BERNARD. 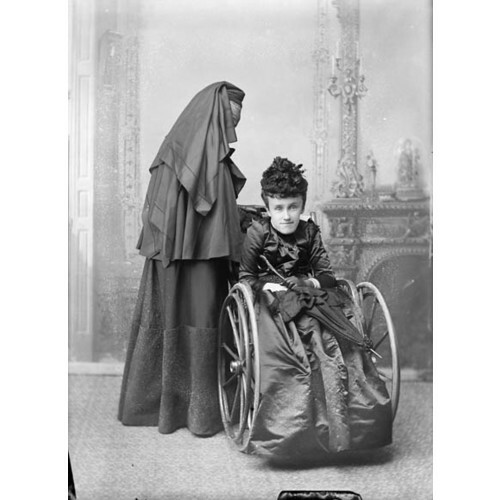 The couple had one child, Margaret Mary Theodora, who was born with hydrocephalus and never learned to walk. For more information on Macdonald’s private life, please consult the following biographies.